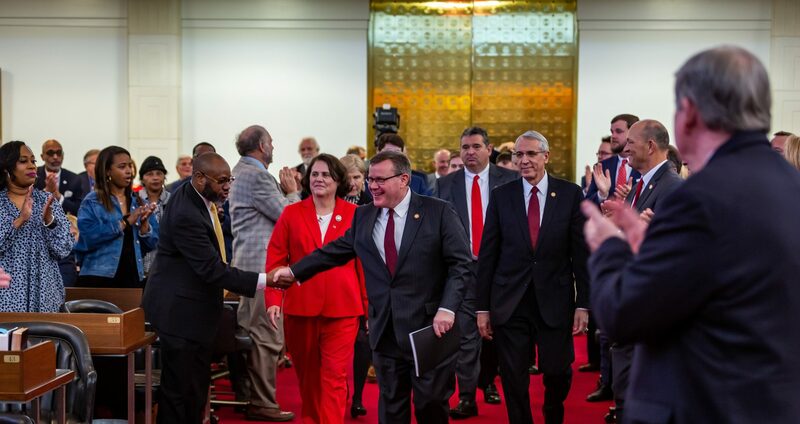 Raleigh, N.C. – Key reforms to regulations facing businesses and state agencies passed the North Carolina House in a bipartisan vote of 94-19 on Thursday, maintaining House Republicans’ ongoing commitment to streamline and simplify the state’s rulemaking processes since 2011. Senate Bill 16 Business and Agency Reg. Reform Act of 2017 reduces the burden of excessive state guidelines on both the private and public sector while increasing public notice requirements and citizens’ access to judicial review of new agency rules and regulations. “One of the House’s top priorities is to identify regulatory reforms that remove barriers to economic growth and reduce the cost of doing business in North Carolina,” said House Speaker Tim Moore. Senate Bill 16 Business and Agency Reg. Reform Act of 2017 combines recommendations from the Joint Administrative Procedures Oversight Committee, legislative proposals and suggestions from state policy stakeholders. The legislation is part of a continued effort by House Republicans to eliminate and improve excessive, duplicative and onerous regulations that burden North Carolinians and the state’s economy. Senate Bill 16 streamlines the procedure for citizens to challenge agency regulations in court, empowering taxpayers with a louder voice in the enforcement of state policies. Senate Bill 16 ensures that all objections to agency rules are recorded as public comment, expanding the impact of citizens and businesses who wish to file on-the-record complaints about state regulations. Senate Bill 16 also helps agencies prioritize critical reports to ensure impactful regulations receive the highest scrutiny from agency officials and the legislature. It reforms regulations that oversee state agencies, bed and breakfasts, alarm system salespeople, pet kennels, vehicle salvage dealers, and businesses that provide automatic customer contract renewals. It also clarifies stormwater laws and eases duplicative requirements on coastal redevelopment of residential projects. Senate Bill 16 also proposes legislative studies of regulatory barriers in coastal economies, electrical safety for swimming pools, the use of ungraded lumber, the frequency of vehicle inspections, and mediation of disputes between local governments and property developers. 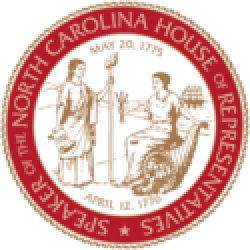 Senate Bill 16 is the second regulatory reform proposal of the 2017 North Carolina House session. The Regulatory Reform Act of 2016-17 passed the House on April 6, 2017.